Your shirt is sorted to separate colors and materials. All stains and odors are pre-spotted, and finally the shirt is gently laundered to pristine clean. Great for removing wine stains, grass stains, and other household dirt and debris. 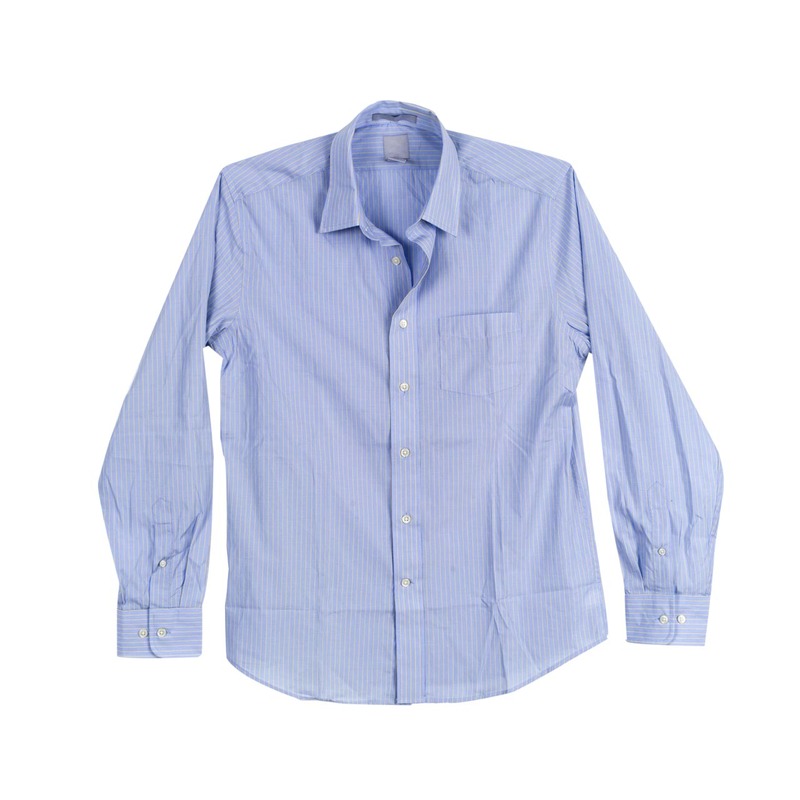 The shirt is rapidly steamed to loosen stiff wrinkles and then carefully pressed for a smooth finish. At your preference, starch is applied to give your shirt the crisp feel and keep the press longer. Your shirt is delivered on a padded hanger to eliminate any stretching and mis-shaping of the fibers and material around the shoulder. Button replacement and minor repairs are done on-the-spot so your clothes are delivered in ready-to-wear condition.